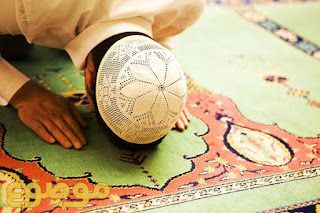 Rule:Except for Tahrimah, for Sajdah-e-Tilaawat all conditions remain which are in Namaz; For example, cleanliness, facing the Qibla, intention, time and covering of the body, also if you have access to water then you cannot perform Sijdah-e-Tilaawat by performing Tayammum [Durr-e-Mukhtar, etc.]. Rule: If in one Masjid one verse is repeated many times or heard many times then only one Sijdah is Wajib even if different people have prayed it. Also if you pray a verse and you hear the same verse from someone else, then again only one Sijdah will be Wajib [Durr-e-Mukhtar, Radd-ul-Mohtar].